Description of The Potion: This potion makes love and can create true love in a girl and a boy. Side Effects: Using the potion for a long time can cause love sickness and even if the potion gets out of body, it can make love of the other person stay in heart forever. Ways to Heal the Side Effects: There isn't any way to stop the side effects but the best way of prevention is to get the potion out of the body before one month is passed from the first day of using. Name of the People: Rainbow Dash, Soarin Skies, Twilight Sparkle, Flash Sentry. Ingredients: Heart desire flower, Mistletoe, Magical rose petals, The moon sprinkles, Five feathers of a love bird. How to use? Add string of the girl's hair to the potion. Then add boy's string of hair to a separate love potion. Let a heart appear inside of the liquid. Then give the potion with the girl's hair to the boy and the potion with the boy's hair to the girl. After drinking them, they'll fall in love. NOTE: People in the story have wings and magic. Their magic comes out from the tip of their fingers. It may doesn't have an EG tag but it's mostly the EG except from the Twilight from Equestria and wings and magic. Soarin Skies, is a Wonderbolt. Like his teammates. That's why he should plan a Wonderbolt party like others and there's no way to run away from it. While he curses the one who started this tradition, there's only one thing that can make the night better. This story is based on this song. This is my first one-shot. Something that popped up on my head few hours ago and I started writing it cause I know that I wouldn't end it if I start any time later. 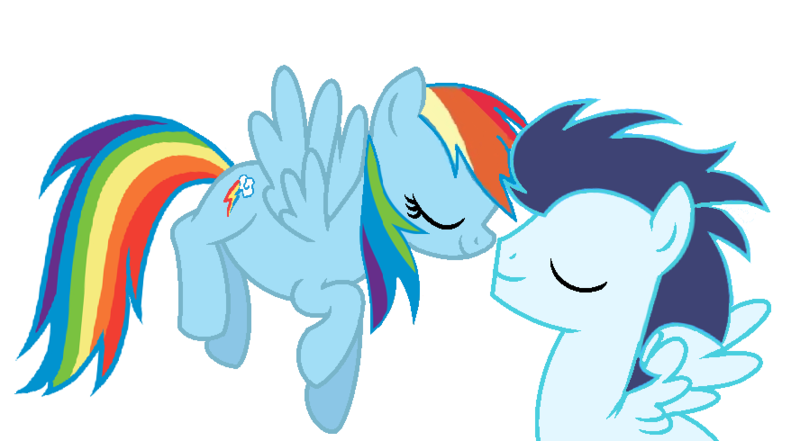 Everything was perfect for Rainbow dash until one day, her mother tells her the most unexpected decision of her life. She agrees but...will she survive? This is my first story ever. It's a little sad but it's filled with romance and it has a good ending. I'm not really good in grammar so I'll probably have lots of mistakes. Please tell them in your comments. And last thing...enjoy the story!